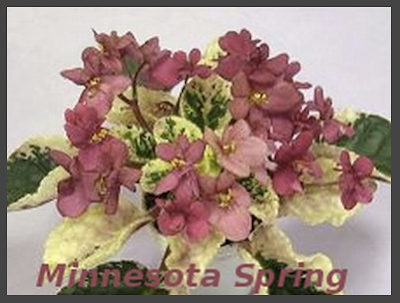 The African Violet Society of Minnesota is proud to present "Minnesota Spring"
AVSA Spring Show and Sale March 19-20, 2010. Har Mar Mall @ Co. Road B and Snelling. Fri. Mar. 19th 10:00 a.m. to 8:00 p.m. Sat. Mar. 20th, 10:00 a.m. to 4:00 p.m.
Join the fun and visit the spring show and sale this week! Lots of plants, lots of color.... lots of "spring" just when we need it! Ahhh, The Sweet Smell of Spring!